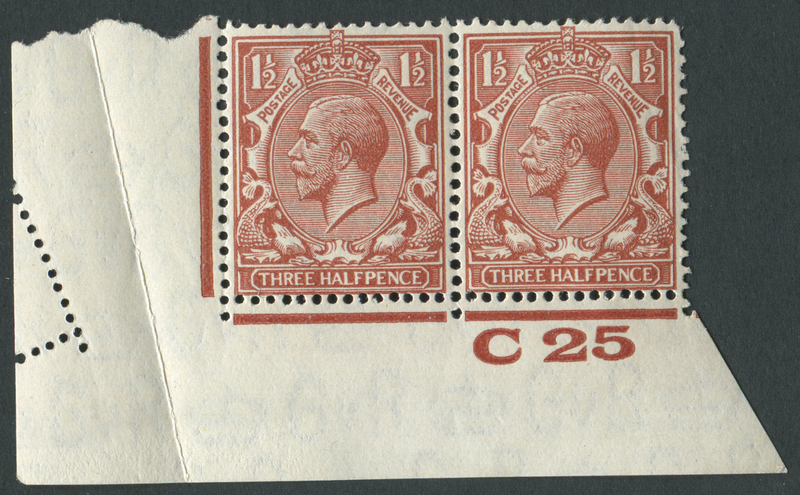 SG.420var 1½d Red-Brown, lower corner marginal horizontal pair, C25 control with paper fold showing perforated selvedge, unmounted mint. Because the shape, size and weight of our products vary, shipping costs to overseas countries, UK Highlands and Islands and Northern Ireland can also vary. If you live overseas, in the UK Highlands and Islands or in Northern Ireland, contact us for a shipping quote before making a purchase.